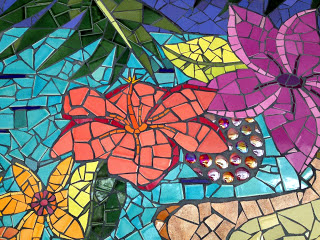 Be part of a team of Global Community Builders by participating in the creation of a community mosaic mural in Costa Rica! Laurel True, founder of True Mosaics Studio and The Global Mosaic Project is partnering with EcoTeach Costa Rica for the first Global Mosaic Tour. Share a unique experience that combines Voluntourism, art education and community process. Laurel will facilitate the creation of a public mosaic mural with tour participants and local community members for a small medical clinic in La Fortuna, Costa Rica. Tour participants will learn firsthand how to facilitate and create a mosaic mural while involving community members of all ages. Participants will experience a group mosaic-making process through the actual creation of a mosaic mural. Experience with mosaics is not a requirement for this project. Laurel will teach all tour participants mosaic setting techniques and how to pass those skills onto others in the context of a community project. This will be a fun and educational project that will bring art education, neighborhood beautification and an opportunity for cross-cultural exchange to the community of La Fortuna. Participants will be working with ceramic tile mosaic. Participants may be asked to carry some tile from their home city, and these materials will be combined with locally sourced materials. Casual evening sessions will include discussions focusing on different mosaic-making techniques that can be employed with groups with any level of training, approaching design development with community involvement and multiple approaches to project coordination. This tour is suitable for artists and non-artists alike. Anyone who wants to come make a community mosaic mural in Costa Rica will have a great time. Artists who would like to add a community component to their work, teachers, and community organizers will find this education tour of particular benefit to their professional development training. Be part of a team of Community Builders and participate in the creation of a community mosaic. Learn how to pass mosaic setting techniques onto others participating in the community project. Work with Laurel True, public artist, educator and community organizer specializing in sculptural and architectural mosaic projects. Program Fee Includes: Bi-lingual Naturalist Guide, accommodations, private in-country transportation, meals, activity & entrance fees, post departure travel insurance and exit taxes. Trip Details: Please visit our Mosaic Making Tour web page with complete trip details. Contact Us: For additional information, please contact Stephanie Hall at 1-800-626-8992, ext. 10 or stephanie@ecoteach.com. 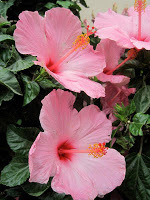 Arrive in the central valley of Costa Rica, home to 80% of the country’s population and surrounded by mountains. This area boasts fantastic vistas and a perfect climate. You will spend your first night in a comfortable country setting and have a chance to get acquainted with your fellow travelers. Laurel True will lead participants in a group mosaic‐making process through the actual creation of a mosaic mural. Experience with mosaics is not a requirement for this project. Laurel will teach all tour participants mosaic setting techniques and how to pass those skills onto others in the context of a community project. 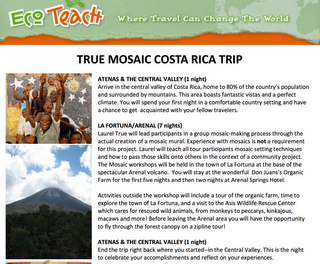 The Mosaic workshops will be held in the town of La Fortuna at the base of the spectacular Arenal volcano. 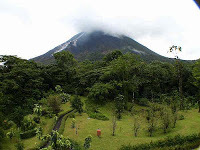 You will stay at the wonderful Don Juans’s Organic Farm for the first five nights and then two nights at Arenal Springs Hotel. 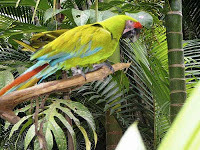 Activities outside the workshop will include a tour of the organic farm, time to explore the town of La Fortuna, and a visit to the Asis Wildlife Rescue Center which cares for rescued wild animals, from monkeys to peccaries, kinkajous, macaws and more! Before leaving the Arenal area you will have the opportunity to fly through the forest canopy on a zipline tour! End the trip right back where you started ‐‐ in the Central Valley. This is the night to celebrate your accomplishments and reflect on your experiences. Itinerary Printable Version is here. Laurel True is a public artist, educator and community organizer specializing in sculptural and architectural mosaic projects. Her projects are focused mainly in urban and developing areas and she is committed to fostering arts education and entrepreneurship both in and out of the classroom. True is co‐founder of the Institute of Mosaic Art in California and has lectured and taught internationally. In addition to maintaining a professional studio practice, True facilitates community ‐ based mosaic projects in the US, Africa and Haiti through her organization, The Global Mosaic Project. Her work has been featured in independent and mainstream media, books and publications. She has created and facilitated hundreds of projects over the last 20 years. She is a member of the Community Built Association, the Society of American Mosaic Artists, Americans for the Arts and the National Art Education Association.